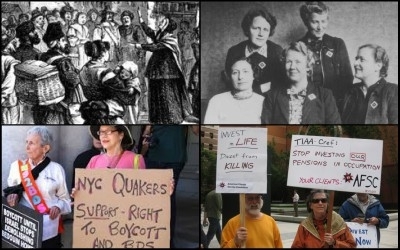 American Quakers have gone from defending Jews in colonial times and saving them during the Holocaust to vilifying them today. In a not-so-earth-shattering move, the American Friends Service Committee (AFSC) has appointed a Palestinian-American, Joyce Ajlouny, as its new general secretary. Ajlouny is a native of Ramallah and formerly the head of the Quaker school there, a "passionate" advocate for Palestinians and for "evenhandedness." How did a century-old pacifist organization become an engine of hate? 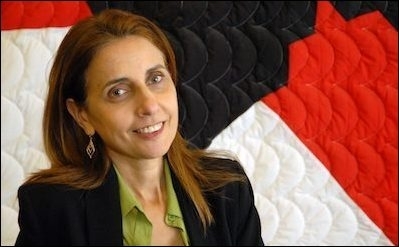 Joyce Ajlouny, a Palestinian-American Quaker, became AFSC general secretary in September 2017. 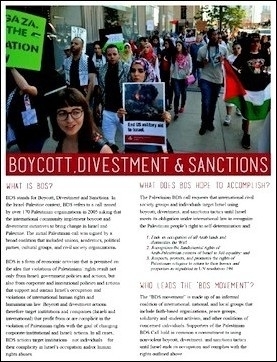 A flyer currently distributed by the AFSC. Asaf Romirowsky is executive director of Scholars for Peace in the Middle East. Alexander H. Joffe is a Shillman-Ginsburg fellow of the Middle East Forum. Their book on the AFSC in Gaza, Religion, Politics and the Origins of Palestine Refugee Relief, was published in 2013.